(a) The juice obtained from fruit by mechanical processes, fermentable but unfermented, having the characteristic colour, aroma and flavour typical of the juice from the fruit from which it comes. 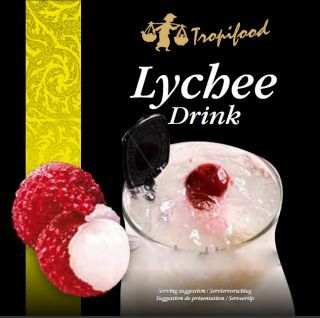 Lime-juice may be obtained from the whole fruit, by suitable production processes whereby the proportion of constituents of the outer part of the fruit is reduced to a minimum. Fruit nectar: ( E.U) The unfermented but fermentable product obtained by the addition of water and sugars to fruit juice, concentrated fruit juice, fruit pur�e, concentrated fruit pur�e or to a mixture of these products. Or according to Codex Alimentarius FAO; A mixed fruit nectar is the unfermented but fermentable pulpy or non-pulpy product, intended for direct consumption, obtained by blending the fruit juice and/or total edible part ground and/or sieved of two or more species of sound ripe fruits, concentrated or unconcentrated, with water and sugars or honey, and preserved exclusively by physical means. In case of fruit with a high sugar content the addition of sugar may be omitted. The coconut palm bears many fruit. These fruit are still young and will be harvested in just a few weeks. Once harvested, these young, or green, coconuts can be harvested and opened to provide a refreshing drink because they are still filled with sweet and refreshing liquid endosperm. 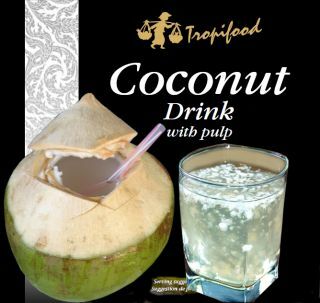 The coconut kernel milky extract mixed with natural pineapple juice, milk-like pale yellow liquid, naturally sweetened with cane sugar. Pina colada, a Spanish name, is one of the most popular cocktails. 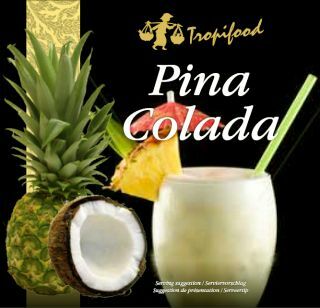 This 'virgin' version of Pina Colada can be served as a ready-to-drink beverage, or mixed with some spirit, i.e. rum/vodka/whisky, and grated ice to get a perfect cocktail. The Lebanese Recipes Kitchen (The home of delicious Lebanese Recipes and Middle Eastern food recipes) invites you to read about the Benefits of Aloe Vera Juice. The aloe vera plant is amazing, having many healing properties to it. The leaves of the plant are where you will find the yellow-colored liquid that can work wonders. You may already know that aloe vera gel can be very beneficial to the skin, helping with sunburn, insect bites, rashes, cuts, and the like. The reason is because aloe vera is an anti-fungal as well as an anti-bacterial. It also helps with the regeneration of cells. So the application of aloe vera gel to the skin can greatly benefit common skin ailments and help in the healing process. But maybe you didn�t know that aloe vera comes in other forms, which also have their own set of benefits. Let�s take aloe vera juice. Here is a short list of what this very healthy juice can do for you. 1. Aids in the elimination of constipation. 2. Aids in digestion and helps with stomachaches and heartburn. 3. Helps to regulate blood sugars. 4. Detoxifies the body and colon. 5. Helps with weight loss by increasing metabolic rate to burn more calories. 7. Aids in healing damage to internal tissues. 10. Retards the growth of cancerous tumors. 11. Helps to reduce inflammation. It is recommended that you drink no more than two to four ounces a day of aloe vera juice. That is the required amount for maintaining health and is all you need. If you take more, you can experience side effects, such as liver dysfunction, nausea and allergic reactions. But if you adhere to the recommended amount per day, you will see the wonderful benefits of this amazing plant. 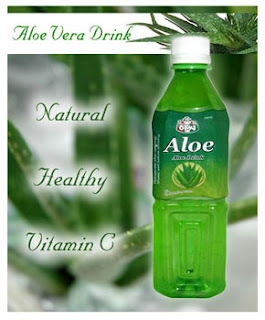 Aloe vera is also available in supplements, such as tablets and capsules. This is a very quick and easy way to get the beneficial effects of aloe vera into your system. If you lead a busy lifestyle and do not have the time to drink aloe vera juice, taking the recommended dose in tablet or capsule form will probably work out very well for you. Your local health food store will most likely carry aloe vera in its different forms. The health benefits of aloe vera are many, and this amazing plant can help you not just on the outside by aiding your skin, but on the inside as well. Be certain to keep some aloe vera gel always on hand for skin ailments, especially if you have children. And aloe vera juice or supplements are a great way to help your body internally. You may even want to do some research online or purchase a book or two about aloe vera to learn more about this miracle plant. The personnel at your local health food store probably also have a wealth of information on the aloe vera plant. Aloe vera is truly amazing. Introduce the wonderful benefits of this plant into your life and you will see what it can do for you.